way into landfills. While the Christmas tree is not the most environmentally friendly Christmas decoration, especially if is not recycled, the environmental waste of the Christmas season continues with energy draining Christmas lights and paper wasting giftwrap. If one is looking to reduce their environmental footprint this holiday season, or even looking to have some conversation starting decorations, then here are a couple of solutions for your holiday needs. LED Holiday Lights – these energy efficient lights not only use less electricity than the traditional incandescent ones, but they also last longer and now are comparable in price. These light bulbs have come a long way to match the same glow and feel of the incandescent lights, but with less energy usage. Potted Christmas Trees – rather than having a tree that needs to be recycled after a few days, why not invest in a potted living tree. Not only can they be replanted in the backyard after the holidays, but also they can serve as a decorative plant for the rest of the year. Fake Cedar Centerpieces and Wreaths – the drawback to a fake wreath or centerpiece often is its construction. Usually made of a version of PVC, these plastic decorations normally pale in comparison to naturally constructed items. However, like LED light, with new advancements in technology these types of centerpieces are now made with polyethylene and almost identical to the real thing. 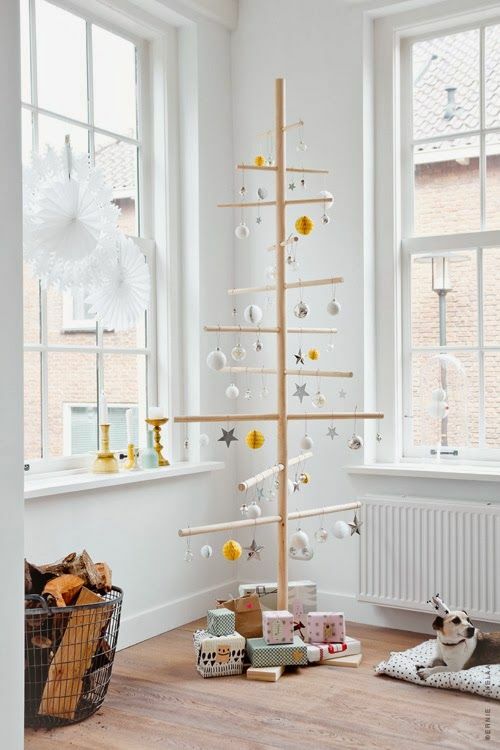 Modern or Alternative Material Christmas Tree – when looking for a sharper and more modern look – sometimes a real tree is not the answer. A cardboard tree or alternative material is a great substitute, these can be reused, uniquely decorated, and will provide that chic modern look that some houses are looking for this holiday season. LED Candles – Candles are big part of the holiday, they provide great mood lightning, ambiance, and are a pivotal part of the holiday season. Yet they also create a fire hazard and a potential danger to small children. LED Candles, made of the same wax as regular candles with a simple light on the top, eliminates these hazards while maintaining the holiday ambiance.